The bladder is a muscle, and like all muscles it is controlled by nerves. As the bladder fills, the nerves sense the fullness and send a signal to your brain telling you that you need to urinate. Usually, your body responds to this urge to urinate so that you’ll have enough time to get to the bathroom. When you are at the toilet, your brain will send the message to your bladder that it is now appropriate to urinate. The message sent to the bladder tells the detrusor muscle (the bladder muscle) to contract and expel the urine. When you have OAB, the nerves alert you that you need to urinate, but your ability to inhibit this urge is compromised and then the bladder starts to spasm on its own and push the urine out. The amount of urine leaked varies. Some people have overactive bladder without any incontinence – they simply feel frequent and intense urges to urinate, but always make it to the bathroom in time. However, many people leak anywhere from a few drops to the entire contents of their bladder when the urgency strikes. In most cases no one is quite sure of the cause of OAB or urge urinary incontinence. A strong pelvic floor muscle contraction during urgency can suppress an involuntary bladder contraction and prevent urine from leaking. Having good pelvic floor muscle tone by doing pelvic floor exercises can only help with urge suppression and the control of involuntary urine leakage. Keeping in mind that overactive bladder and urge incontinence are affected by the functioning of your nerves, it is always important to seek medical diagnosis and treatment: a qualified healthcare professional can run the appropriate tests to rule out any other underlying cause. An interested and qualified medical professional can also help you to find a treatment and management plan that works for you. First line treatments may include pelvic floor therapy, weight loss program, smoking cessation, bladder training and control strategies, dietary changes (avoiding foods and beverages that irritate the bladder), fluid management timing, and changes in prescription drugs or timing of when drugs are taken. Second line treatment may include OAB medications. A third level of management options may include sacral neuromodulation (SNM), Botulinum toxin (Botox) injections, or percutaneous tibial nerve stimulation (PTNS). Your plan may include more than one management option. It is often a combination of things that will help you regain control of your bladder. Ms. Sasso is the Program Manager/Urogynecology Clinical Nurse specialist at NorthShore University Health System in Evanston, Illinois. She received her nursing diploma from the Medical College of Pennsylvania in Philadelphia, a Bachelor of Science degree in nursing at Alverno College, Milwaukee, Wisconsin, and a Master of Science in Nursing at the University of Wisconsin-Milwaukee. Her clinical practice involves the evaluation and treatment of women with urinary incontinence, voiding dysfunction, and pelvic floor disorders. She has extensive experience in clinical research for the treatment of women with stress urinary incontinence, detrusor overactivity and genital prolapse. 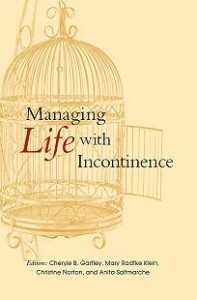 Ms. Sasso has authored and coauthored articles on female urinary incontinence, genital prolapse and treatment options. She coauthored a book chapter published in Textbook of Female Urology and Urogynecology. She has presented at numerous symposia within the United States and abroad. 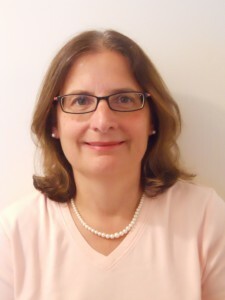 She is a reviewer for the journal Urologic Nursing, a committee member for the Wound, Ostomy and Continence Nursing Certification Board and a Project Advisory Council member for the National Association for Continence. She is a Certified Continence Care Nurse (CCCN) and licensed in the State of Illinois as an Advanced Practice Nurse. She was presented with the 2004 Continence Care Champion Award by the National Association for Continence and the Urologic Nursing Journal’s 2006-2007 Literary Excellence Award and in 2013 received Urologic Nursing Outstanding Reviewer Award. Posted in Types of Incontinence and tagged OAB, overactive bladder, overactive bladder medications, overactive bladder treatments, urge incontinence, urge urinary incontinence, UUI.